The Hospitality Team helps create warm and welcoming environments in our church facility for our guests and church family during special bridge events and church-wide meals. Our Hospitality Team helps in the preparations of meals, table settings and church decorations. They also serve our church family by providing meals to members during time of recovery from illness or child-birth. ​ If you like to serve in a practical way, the Hospitality Team is a place for you. ​The Hospitality Team is here to care and serve in our Father’s House and our community. This team functions in planning, preparing, and serving at Church events/meals, outreach events, and special meetings or celebrations. ​The hospitality team reaches out to His family and guests by making them feel welcomed and loved in their times of need, sorrow, and joy. They provide a special touch that makes people feel the specializes God feels about them. 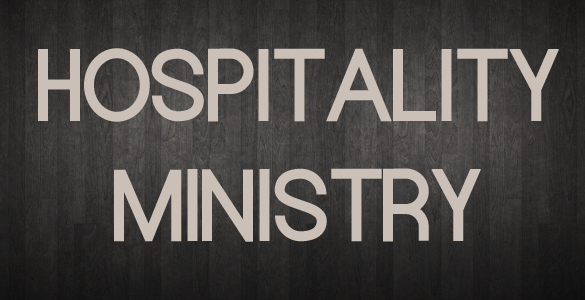 For information on Hospitality Ministry, please send us a note.